Vivid Vision Therapy is a Virtual Reality system used to improve binocular vision in cases such as strabismus, amblyopia and convergence insufficiency. 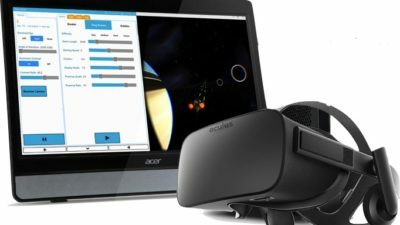 By using an Oculus Rift virtual reality headset and specific vision therapy games the two eyes can, in suitable cases, work together better and possibly improve vision in amblyopia (lazy eye). This therapy can be used on children and adults where suitable. The treatment involves 30 minute sessions on a weekly basis for a minimum of twelve weeks. Once vision is reviewed further Vivid Vision sessions would be planned out.